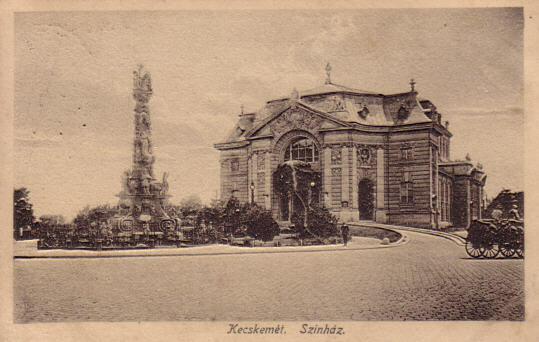 Built 1895-1896 as municipal theatre for the city of Kecskemét by Ferdinand Fellner & Hermann Helmer, as a scaled-down copy of their Budapest Vigszínház. 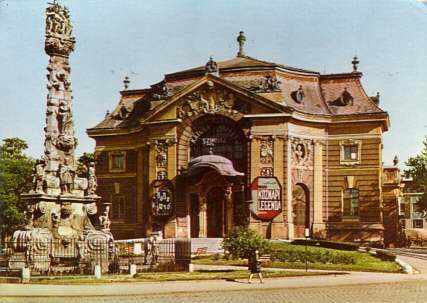 Opened 14 October 1896 with József Katona's drama "Bánk Ban". 1960-1962 renovation and moderinzation. 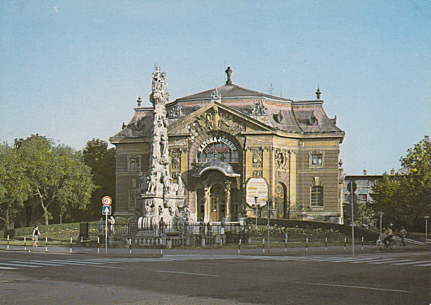 1986-1987 renovation by Pál Boros and Gábor Farkas. Named in hounour of the Hungarian playwright, Józef Katona (1791-1830). 850 seats. 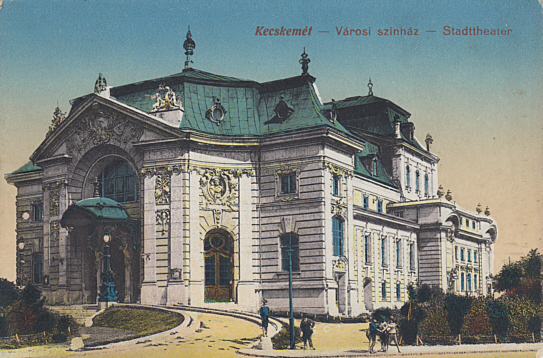 Front Text: "Kecskemét, Városi szinház - Stadttheater"
Front Text: letters on building: "Katona József Színház"
Reverse Text: "Kecskemét, Katona József Színház - 'Katona József' Theater/Theatre - Kechkemet, Teatr Katona Yoshef"
Reverse Text: "Kecskemét, Katona József Színház - Katona József Theater - Katona József theatre - Teatr im. Josepha Katony"